On the last day of August, I have started making my Christmas cards. Simon (or rather Heidi at Simon Says Stamp) sent me this really cute Pile of Gifts die to wet your appetite for what is coming tomorrow in their Stamptember release. How adorable is that pile of gifts?!? I see different colors of paper & pattern papers behind that die in the future. 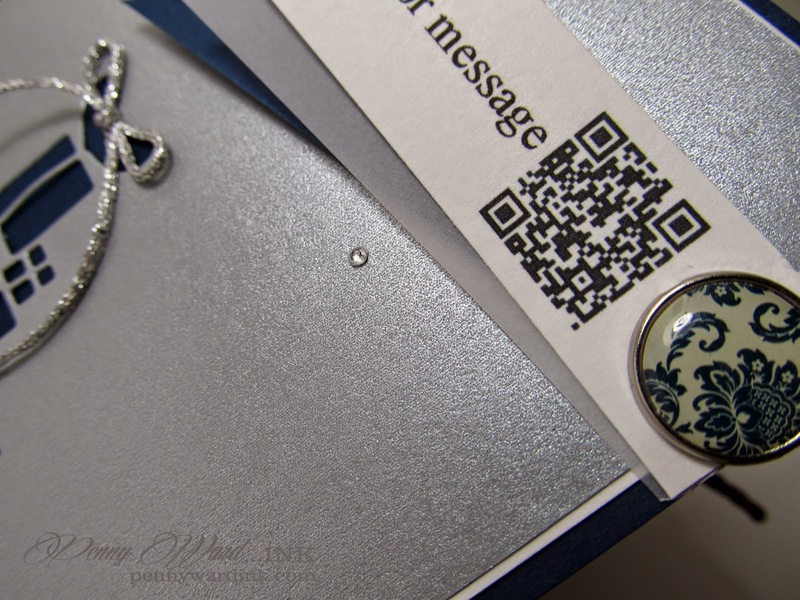 I have paired silver metallic card stock with navy (I just love that combo) and just a touch of white. The brad is by My Mind's Eye. You scan the QR symbol with your Smartphone for the greeting. Go ahead, it will scan through the computer screen. Can't wait to see what else is in store for us September 1st at Simon Says Stamp. This card is so cute and so clever!! 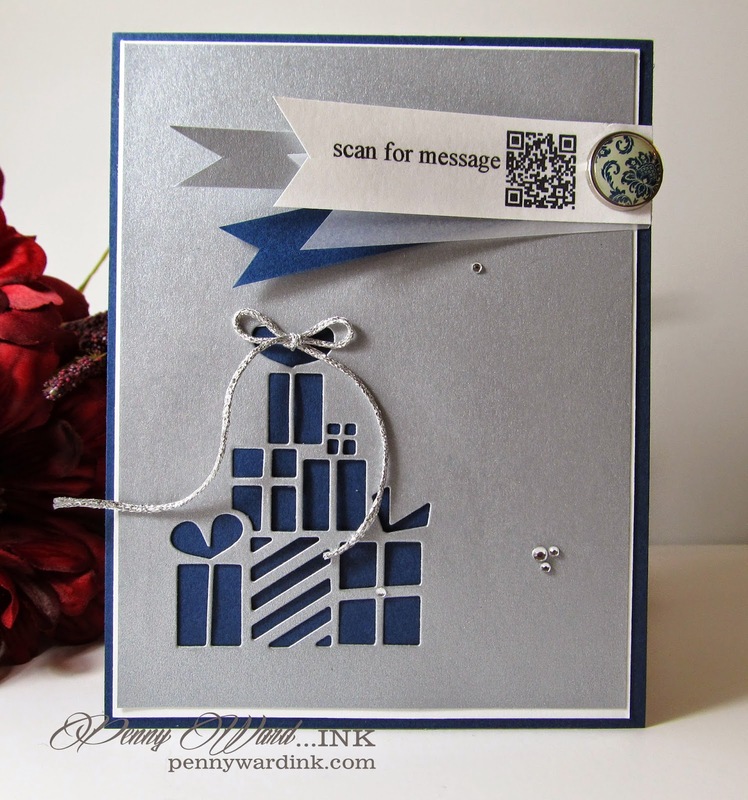 Love this new die - I am looking forward to seeing more done with it!! You did a great job - Way to go! !